RERA a most debated real estate regulatory bill is about to notified by the government. Full form of RERA is Real Estate Regulatory Authority. A prime objective of RERA is to address grievances of customer and to bring transparency and accountability in the real estate sector. The RERA Act shall be implemented in 15 states from 1st May 2017. So, if you are planning to invest in real estate or planning to purchase a house you should wait till this act is notified. RERA is expected to give multiple benefits to the buyer. The key features of RERA Act are given below. Under this act every state has to establish a Real estate regulatory authority. The authority can be approach by the buyer in case of any grievances against a builder. As per this act, it is mandatory to register every under construction property where land is above 500 sq. meter or includes eight apartments. Failing to register project under authority ambit may lead to penalty up to 10% of the project cost. A repeated violation of this could send developer in the jail. As a buyer, you need to pay only for carpet area and not for a super built up area. Till date, you were paying for a super built up area which includes common space of usage. The new law will stop this practice. The builder needs to put 70% of the money received from the buyer into a different account. This money will be withdrawn as per stage completion of a project. This will stop malpractice of builder of using money raised for one project for another project. The builder will have to provide five-year warranty for any structural defects in the building. The builder needs to publish all correct information about the project such as project plan, layout, approval of the government, land title and expected date of completion. This information should be available with RERA. As per act builder cannot make any change to project plan without taking written consent from the buyer. The project should be completed with stipulated timeline, failing to which builder is liable to pay interest penalty to the buyer. In case of any shortcomings in the project, a buyer can contact RERA within one year of taking possession of property. The act is provisioned with a maximum jail term of three years with or without fine to a builder. The RERA is expected to stop willfulness of builders. It will also bring transparency for the buyers. The buyer need not worry about the title of document and property plan as information will be available to him/her publically. The buyer need not pay for the super built up area. This will be a big relief to the buyer. This act will also bring transparency in terms of completion of the project. Any delay will be backed by penalty. The buyer has rights to talk about after sale services and structural defect in the property. It is a welcome step taken by the government of India. The RERA act will surely help real estate buyer. It will also give a boost to sinking real estate sector. How to file complaint under RERA Online? 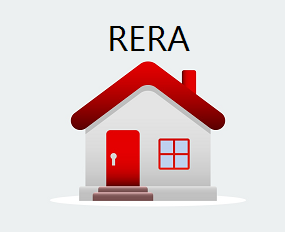 How RERA website helps you for home buying?